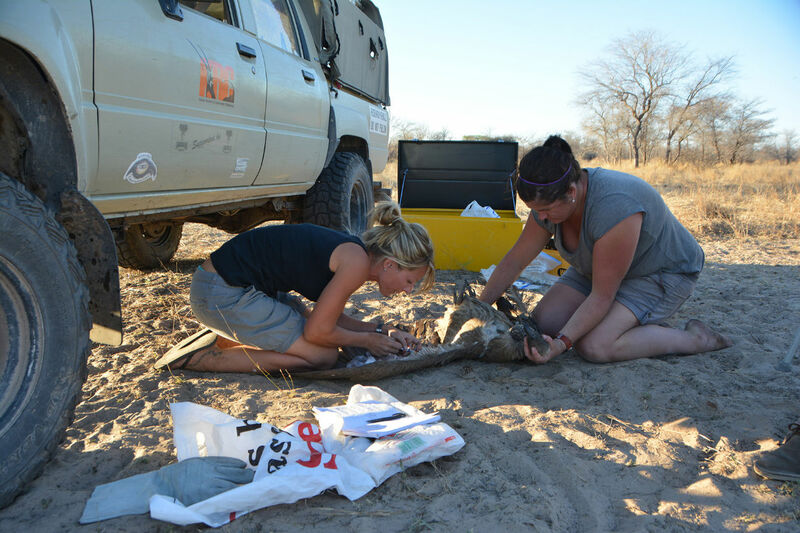 Beckie Garbett is a conservationist working with White-backed vultures in the breathtaking Kalahari desert. 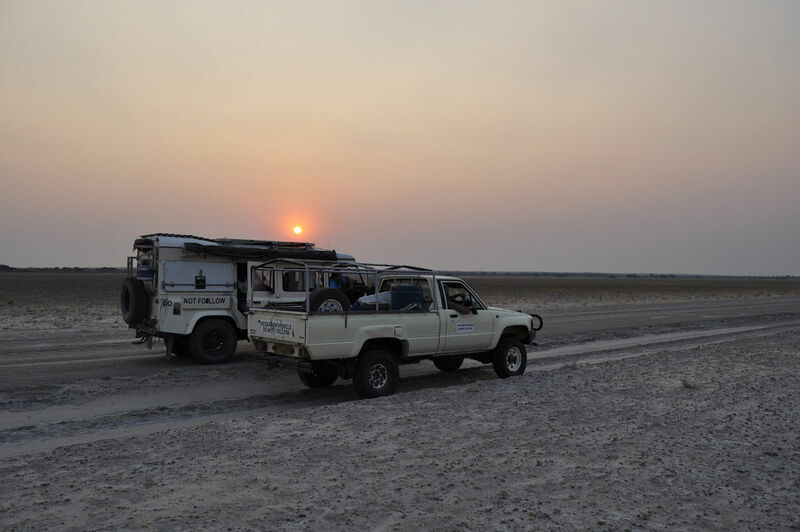 Bitten by the Africa bug, Beckie spends much of her time camped out with a 4×4 in remote parts of Botswana helping to understand and increase awareness of the crucial role these threatened vultures play in a healthy ecosystem. 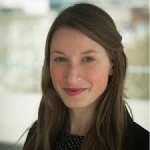 Here Beckie shares some of her experiences. Bio: I was bitten by the Africa bug back in 2003 when I first went on safari in Kenya. 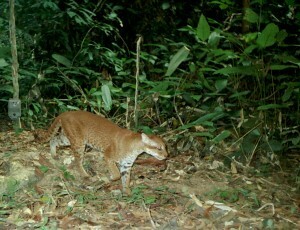 Since then the continent and its wildlife have held a unique fascination. 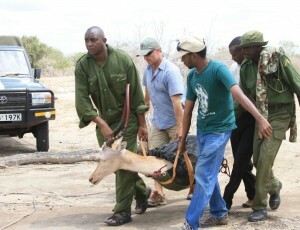 How did you get into conservation? Eight years ago I was lucky enough to be able to take a year’s sabbatical from my position as an Emergency Medical Technician in the UK, which I carefully planned around international wildlife conservation volunteer opportunities and experiences. One of these led to a ‘proper’ wildlife conservation position in Victoria Falls, Zimbabwe where I then lived for a year soaking up as much field experience and African splendour as I could before deciding to return to the UK to study for a degree in Zoology. During my studies I returned to Africa (Botswana) to volunteer as a research assistant and on completion of my degree I hot-footed it back there in search of my break into a permanent research position. Not an easy task but persistence pays in the end! 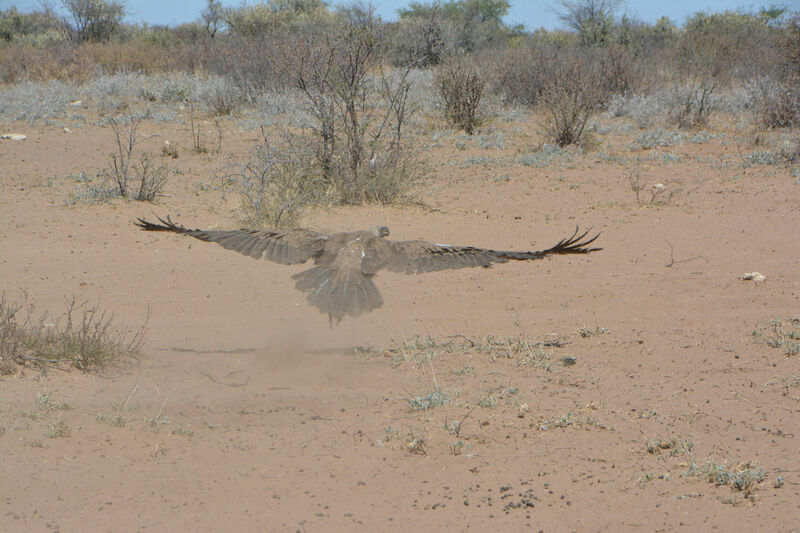 I am now currently involved in a nationwide vulture research project pioneered by a local NGO Raptors Botswana who are working towards gathering unknown ecological data on Botswana vultures and addressing the key threats that they face. My study on the impact of lead on White-backed vultures in Botswana forms an important part of this wider project. Can you tell us more about the vultures you study and the threats to them in Botswana? My project studies the endangered White-backed vulture (Gyps africanus); 1 of the 5 species of vulture that exists in Botswana and 1 of the 3 species that exists in the Kalahari region. All of Botswana’s vultures are classified by the IUCN as either endangered or vulnerable. 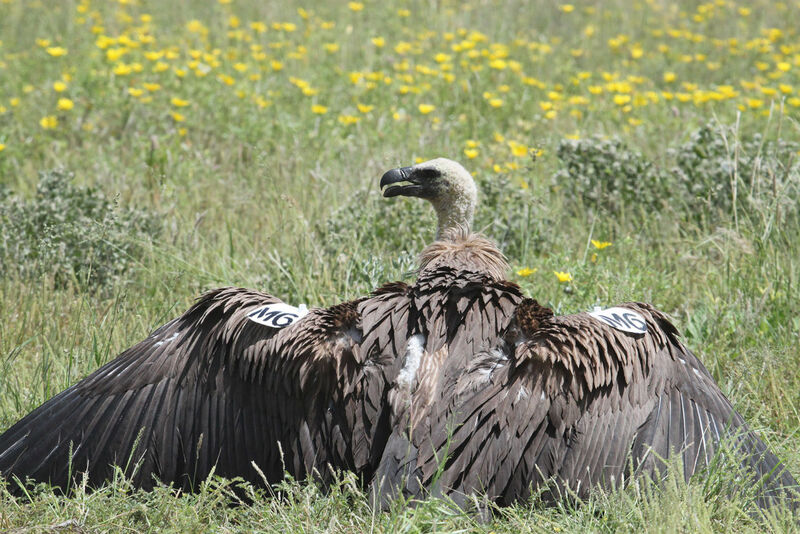 The White-backed vulture is the most populous of all of the species but because of its large presence at carcasses it is more exposed to episodes of poisoning as has been increasingly witnessed over the last 2-3 years throughout southern Africa. Preliminary research here in Botswana has found that lead may also have a significant impact on White-backed vulture populations. 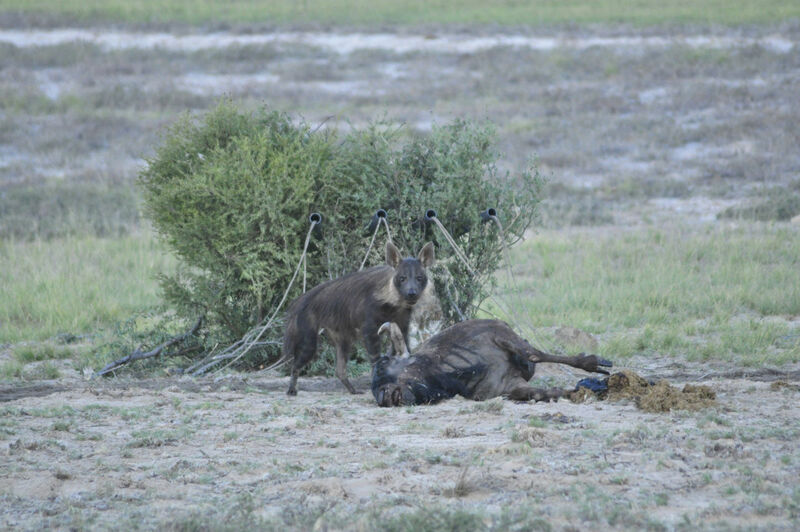 My study aims to identify whether this is explicitly linked to the ingestion of hunters spent ammunition in carcasses. The case of the North American California Condor which was brought to edge of extinction due to death from lead poisoning from hunter spent ammunition in food sources, suggests that there is a strong case for this in White-backed vultures in Botswana. TOP: Soaking up a magical sunset moment in Central Kalahari Game Reserve. 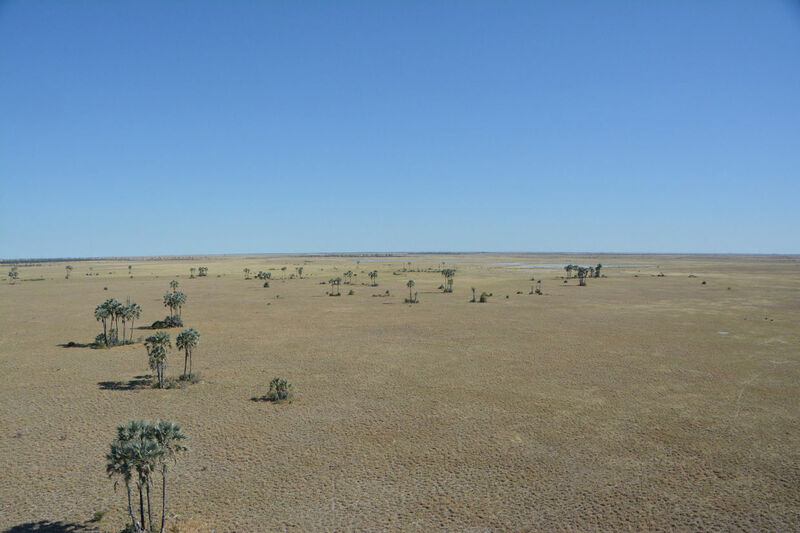 BOTTOM: Birds eye view over the Makgadikgadi Pans, Botswana. "Vultures provide one of the most important yet underappreciated ecosystem services of any avian group." 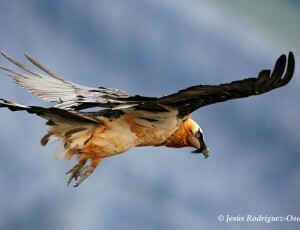 Lots of people don’t think of vultures as an important, can you tell us about their role in the environment.? Vultures provide one of the most important yet underappreciated ecosystem services of any avian group by efficiently removing and recycling carcasses; therefore reducing the spread of disease and holding down populations of undesirable scavengers which act as vectors of disease. India has fairly recently experienced a catastrophic vulture population crash, with vulture numbers plummeting from millions to thousands over a decade. 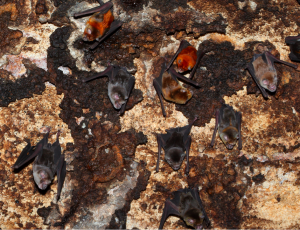 The effects of this decline have resulted in an increase in feral dogs and rats, and subsequently incidences of rabies and other diseases in both animals and humans. 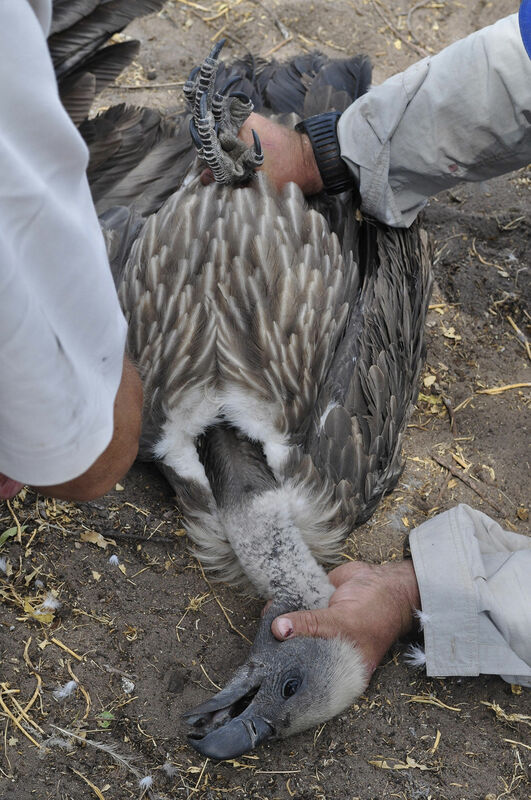 Carcasses which would have been removed by vultures act as disease carriers; and economical costs of health care directly linked to vulture decline have sky rocketed. Some of the Discover Conservation team just returned from a month in Botswana, so we don’t need any persuading! But for everyone else, can you tell us a bit more about the amazing region in which you work? 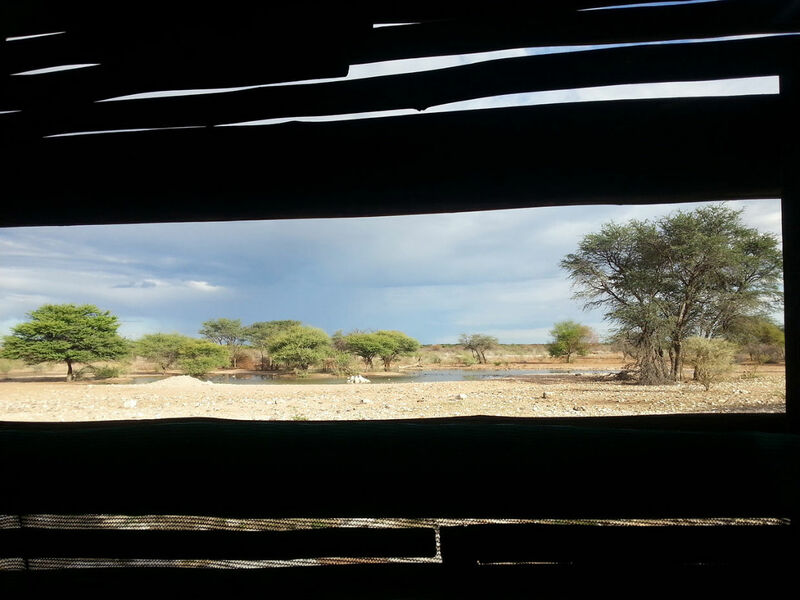 My main study area is the Kalahari region of Botswana which includes the second largest game reserve in the world, the Central Kalahari Game Reserve, the magnificent Makgadikgadi Pans and the Kalahari Transfrontier Park. As you can imagine this is an extremely hot, dry and arid environment. Fieldwork takes place in these mentioned protected areas as well as on privately owned cattle and game farms. Travel distances can be vast and most of the time I have to be fully self-sufficient when working in protected areas, which means carrying all fuel, water, food and research and camping equipment. A 4×4 vehicle is essential for the terrain which is typically thick sand or mud and water during the rainy season. 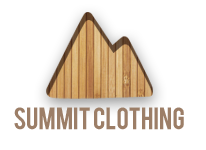 Camping is a 365 days a year event and all cooking is done over an open fire. Sounds dreamy but it can get interesting during the rains and needless to say insects are in overdrive throughout the summer! Keeping clean is always a work in progress and has to be carefully balanced with water needed for cooking, drinking and washing dishes! There is something so enriching about spending time in the remote wilderness of Botswana, with its spectacular sunsets and intimate wildlife encounters. A feeling of blissful isolation (don’t call me I’ll call you). Of course for me the vultures are the real highlight. I get to spend hours watching these quirky, charismatic creatures and always feel privileged to work with them in such close contact. I have the scars to prove it! 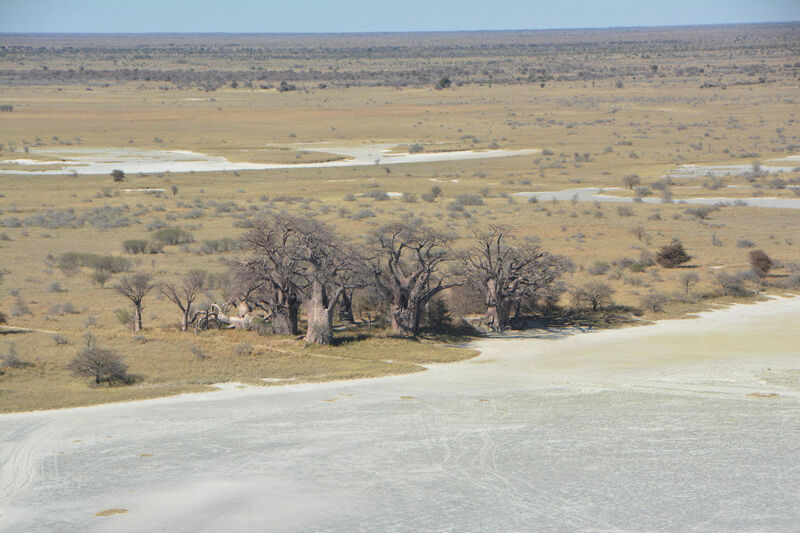 TOP: Impressive baobabs in the Makgadikgadi Pans. 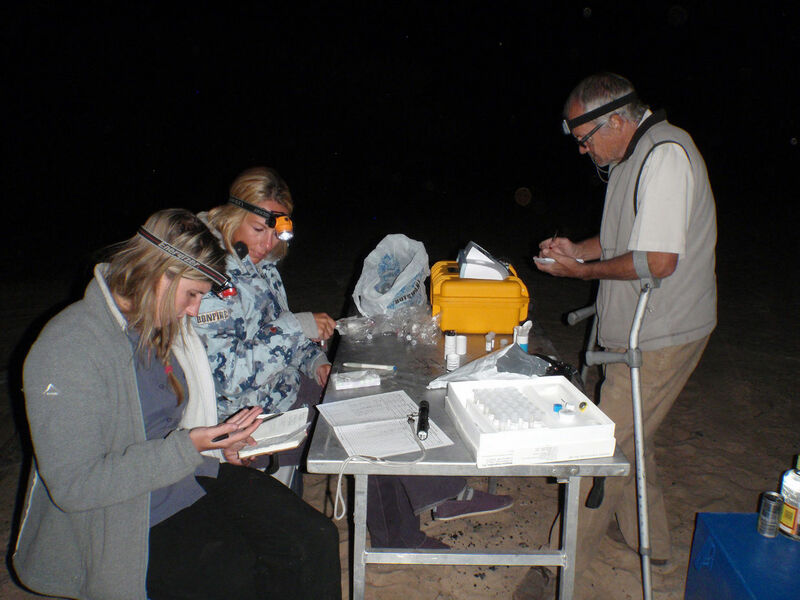 MIDDLE LEFT: Analysing blood samples for lead after dark in the wilderness of Kgalagadi Transfrontier Park (KTP). MIDDLE RIGHT: White-backed vulture post processing, ready to go! BOTTOM:Vulture basking in the sun before take off.
" It’s SO important to build and maintain good relations with the community, government departments, other NGO’s and private landowners who dwell within your study area." 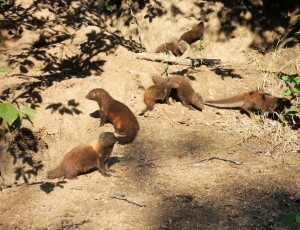 And of course, there must be challenges to overcome, especially when your study species isn’t exactly cute and cuddly? The biggest challenges are the remoteness of the fieldwork. Time spent in the field is often limited by how much I can pack into my vehicle. This also means that when my trusty ancient Toyota hilux decides to breakdown in the middle of nowhere I often have to improvise until I return to civilisation, otherwise a satellite phone is always on hand. 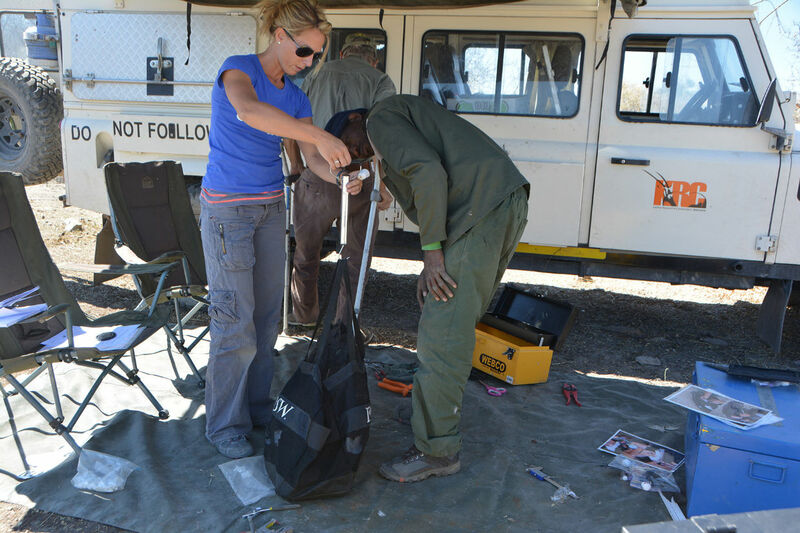 Working in the intense heat of the Kalahari also has its challenges. The key is to work in the coolest parts of the day (early morning and late afternoon); however the nature of my fieldwork doesn’t always allow for this. Sunscreen! Actually getting people to recognise vultures as a desirable animal to conserve can also be quite a challenge. Many people have pre-conceived ideas about them due to their somewhat displeasing appearance and characters they play in mainstream films! However, it generally doesn’t take long for them to begin to appreciate the charm and magnificence of these birds; in addition to the vital ecological role that they play. All images copyright Beckie Garbett, and may not be reproduced without permission. 1) Get yourself out there – The hardest thing about wildlife conservation research is getting into it in the first place! Give yourself an edge by networking, visiting the countries or areas you want to work in (there is nothing more valuable than local knowledge) and by searching for those volunteer opportunities to boost your experience. Approach people you think could help or may know someone that could and be confident! 2) Think outside the box – working in developing countries coupled with remote environments requires a lot of creativity and improvisation in a variety of scenarios. Being able to problem solve on the spot with limited resources is crucial. 3) The art of patience – research in general, especially vultures and any other raptor or bird species requires oodles of patience. Many hours are spent sitting and waiting for their cooperation! Learn to relish the less exciting moments as well as the adrenaline filled ones. 4) Communication – This often seems to slip down the ladder of importance on research projects. It’s SO important to build and maintain good relations with the community, government departments, other NGO’s and private landowners who dwell within your study area, especially if they are receptive and willing to assist you with your research. Keeping them informed and a part of your project will make them feel valued. Include them in updates, thank them for their help etc etc. All pretty basic but it makes a huge difference.  5) Be prepared – Things do not always go swimmingly and you won’t enjoy every second of it. Prepare yourself for the more difficult times and remember why you’re doing it and all the work you have put into getting where you are. Focus on the positive and stay on track.